A fresh seasonal margarita is a precious gift all year round; spring, fall, summer and winter. We have modernized the margarita and made a sweetener that isn’t overly sweet or sour that will help your seasonal items shine, but not overpowering them with a mixer that’s too sweet, too sour or to synthetic tasting, allowing the fresh seasonal fruit (or veg) to take center stage. Mangoes natural sweetness and perfumed essence yield a terrific base for whatever your margarita desires are. 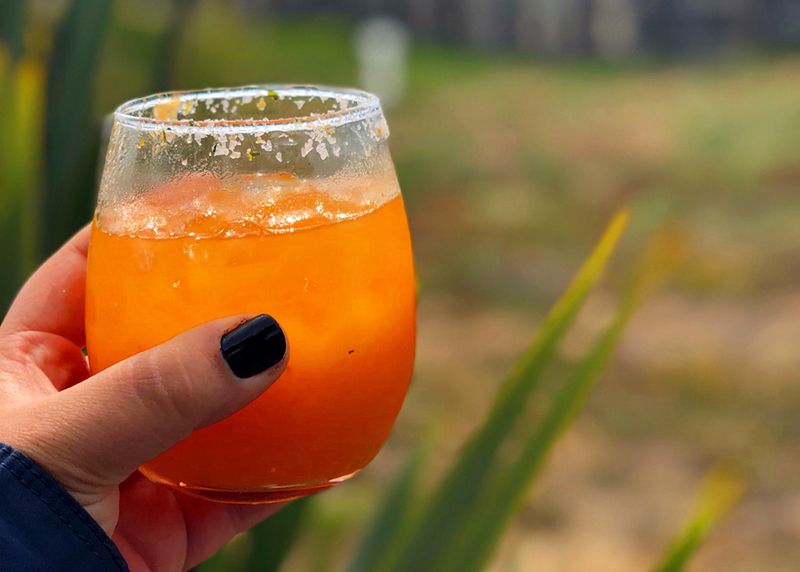 Persimmons are one of the most emblematic fruits of the fall season and they make a perfect fall margarita. 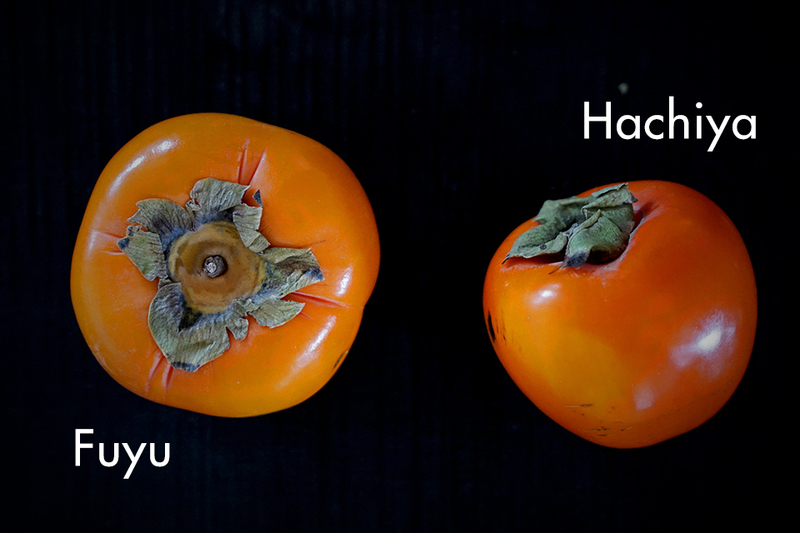 There are two main varietals; Fuyu and Hachiya and we love both. Persimmons have a fair amount of tannins which most tasters know very little about, except that tannins are what cause varying degrees of bitterness and astringency, often making the mouth feel dry. Grapes, blueberries, cranberries and skins of apples and pears are all examples of fruits with tannins. The round and squat Fuyu varietal has minimal tannins, The Hachiya has quite a lot. The Fuyu tastes sweet in all stages of ripeness and is the most popular for this reason. It’s the best “out of hand eating” persimmon. The Hachiya varietal, elongated body and pointed end, is ultra-rich in tannins, and eaten only when fully ripe or cooked, where the tannins can be further tamed. We love the Hachiya for margaritas as tannins can give cocktails exceptional depth. A ripe Haychiya offers a rare and special jelly like substance that tastes earthy and sweet like nothing you have ever tasted, a true royal jelly! Persimmon tip: Freeze the puree of this hyper seasonal fruit and extend the season. Make sure you are using a ripe persimmon, the Hachiya varietal can taste bitter and astringent if it is not fully ripe. Blend the mango pit syrup the persimmons and ½ teaspoon of pie spice in a blender until smooth. Pour 2 ounces of tequila in a rocks glass filled with ice. Add 2 ounces of the persimmon- mango pit mixer and the juice of 1 lime (about 1 ounce) stir and toss a few flakes of the Fall salt on top of the drink. Alternatively, you can salt a portion of the rim of the glass, before making the drink by, rubbing a lime against a portion of the rim and dipping it in the Fall Sat.